I’m so excited for 4th of July weekend! It’s one of my favorite holidays and a great excuse to wear more red, white, and blue. I wear so much of our nation’s colors that our dryer lint is purple… This weekend Joe and I plan to go to Traverse City, Michigan with friends. Traverse City is at the very top of the lower peninsula and has gorgeous clear blue water. I’m looking forward to relaxing, boating, visiting lighthouses, and spending time with friends. 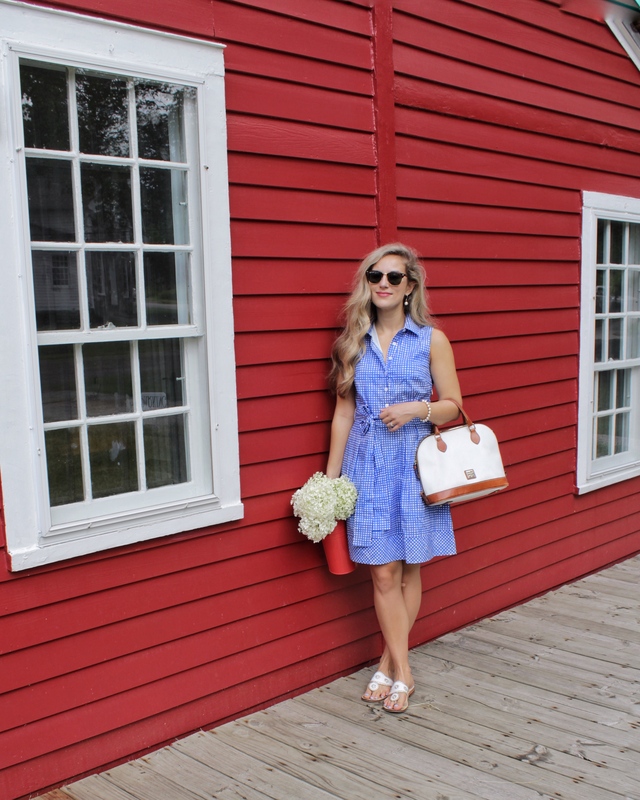 I might have found one of my favorite summer dresses! 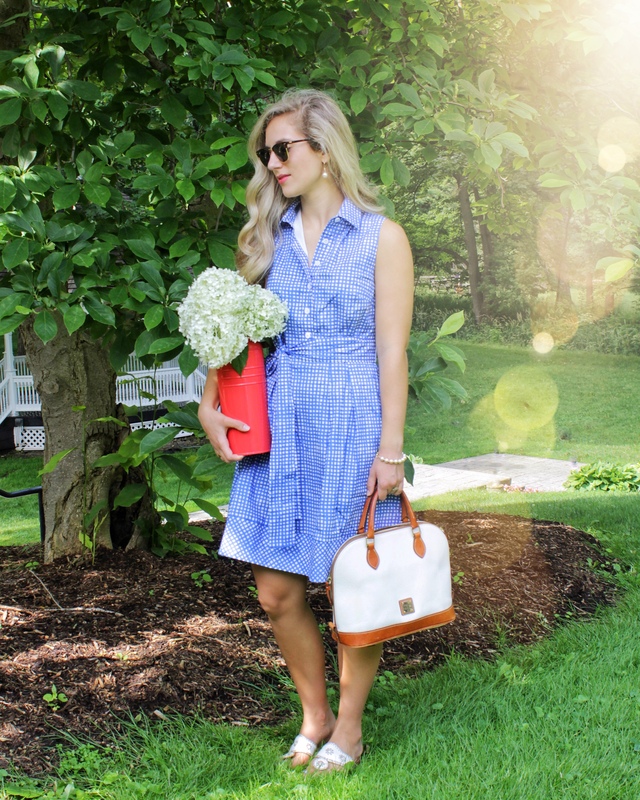 It checks all the boxes for me – great fit, blue, and gingham. 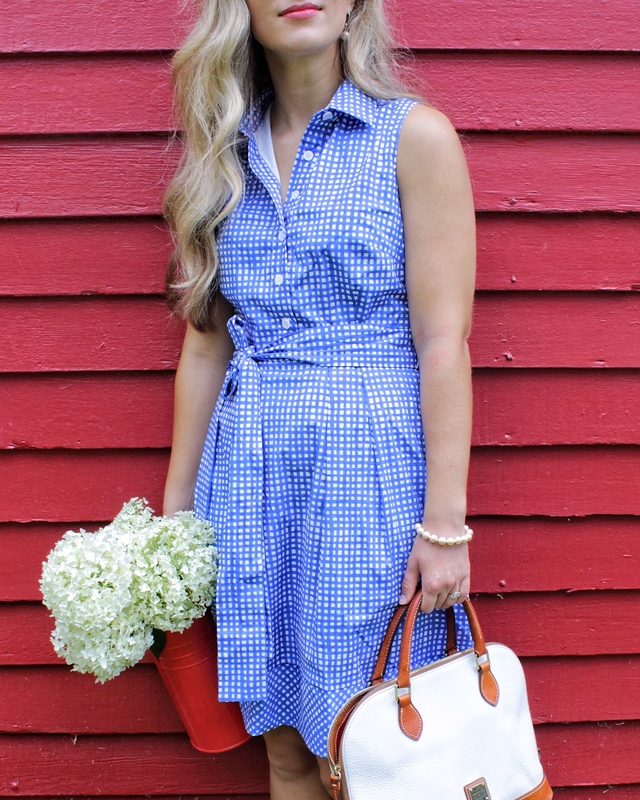 It’s not your typical gingham though, it’s more of a hand painted pattern that is so lovely in this shade of blue. 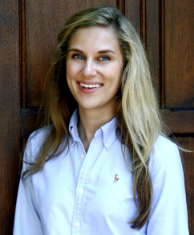 I love the collar and tie belt – these little details are what really make this a favorite for years to come. The cutest part of this dress is they make a smaller version for a little girl. If you have a daughter or a “little friend” it would be darling to get the little version. Check out the rest of Blithe’s Southern Living Collection. They have another great dress with hydrangeas on it that has a really pretty neckline on it. Do you have any plans for the 4th of July? thank you so much!! the dress surpassed my expectations, I love it!